Fans are also invited to participate in two special initiatives occurring in conjunction with the day's practice, beginning with the Purple Pride Blood Drive hosted by LifeSource. Open from 10 a.m. to 4 p.m., the blood drive will be located on the Stadium Club level (7th floor) of the Ryan Field press box. Fans should make an appointment online or call 877-543-3768 to support Northwestern's efforts to save lives in the Chicagoland community. Participating blood donors will receive a free ticket for the April 26 Wildcat Lacrosse game against the University of Southern California, as well as have an opportunity to meet and greet with former Wildcat football players. 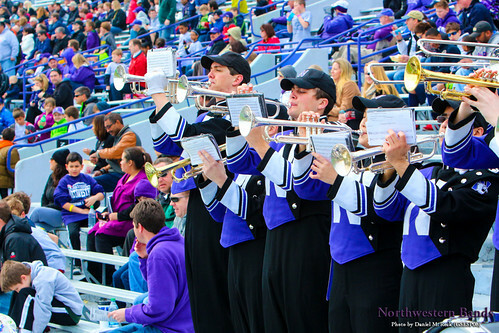 Following the Wildcats' spring practice, Northwestern will once again stage its annual Youth Football Clinic in partnership with USA Football. Youth athletes in grades eight-and-below are invited to hear from Wildcat head coach Pat Fitzgerald and members of the Wildcats while conducting position-specific drills. Attendees also will learn proper tackling and equipment-fitting techniques to ensure player safety. Participants must register online by Friday, April 11. In the fall, the Wildcat Football home season begins Aug. 30 when they host California. Until then, fans may find Wildcat Football on Facebook and on Twitter as @NUFBfamily, they also find Head Coach Fitzgerald on Facebook and Twitter, Be sure to also follow Twitter hashtag #B1GCats for the latest Wildcat athletics action.